I wish you a beautiful Sunday morning! Alice (also known as Per Elisa) is the fourth studio album by Italian singer-songwriter Alice, released in 1981 on EMI Music. The album includes Alice’s winning entry in the 1981 Sanremo Music Festival, “Per Elisa”, and the Alice album was released under that title in certain territories, then also with alternative cover art. Here´s my all time favorite Italian summer hit. Click on the link below and fall in love! From Italy I want to make a short trip to Germany, back to the 70thiies. Here we find an other big love of me which influenced me very much in my puberty. Inga Rumpf. Rumpf was born as the daughter of a Hamburg sailor and an East Prussian seamstress in Hamburg’s St. Georg district. In the early 1960s, she made her first appearances with various blues bands in the youth hostel of St. Pauli. 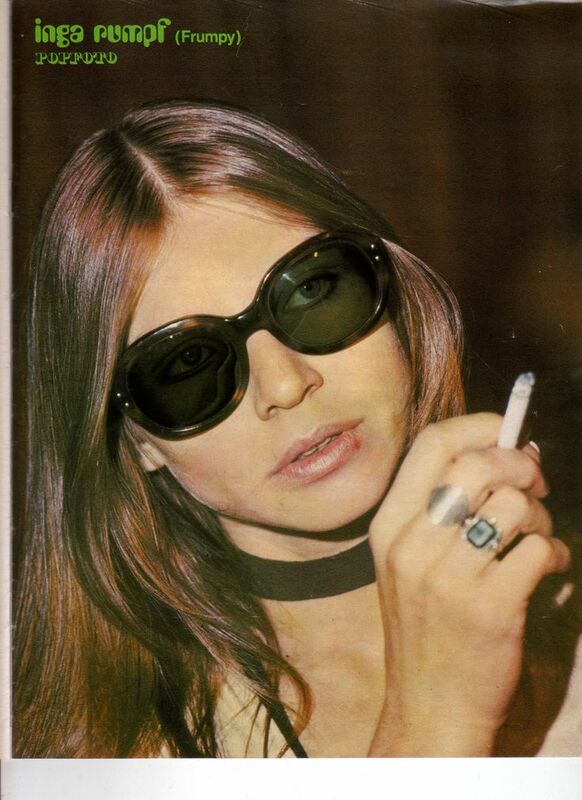 In 1965 she became the singer of the folk-rock group Die City Preachers, in which Udo Lindenberg played drums at times. In 1968 she took part as a solo interpreter with the title Schade for the tears at the first German Schlager competition. In 1970 The City Preachers renamed itself Frumpy, with Carsten Bohn (drums), Jean-Jacques Kravetz (keyboards), Karl-Heinz Schott (bass), and the first record All Will Be Changed was written. In 1972, Frumpy created the new Atlantis formation, where, in addition to Rumpf and Frank Diez, Schott, Kravetz and Lindenberg again appeared as founding members. Inga Rumpf was considered at that time as one of the greatest talents of the German rock scene. It was followed by successful concert tours through different countries with changing occupations, u. a. Dieter Bornschlegel, Ringo Funk, Alex Conti, Adrian Askew and Rainer Schnelle. In 1976, Atlantis broke up. From 1981 to 1982, Rumpf toured with her band Reality and worked as a lecturer at the Hamburg Music Academy; In 1983 she was on stage for a one-time reunion of Atlantis; she also wrote the song I Wrote a Letter for Tina Turner, the B-side of her single Let’s Stay Together. In the years 1986 and 1987 she became musically involved with the group Inga Rumpf & Friends in the initiative “Rock against Atom”. In 1990 there was a reunion of Frumpy as a trio in the cast hull / Kravetz / Bohn. In the following years Frumpy released two studio and one live album with Frank Diez on guitar. Her´s my favorite song of Frumpy. Here in good old Germany we can find more great female vocalist. 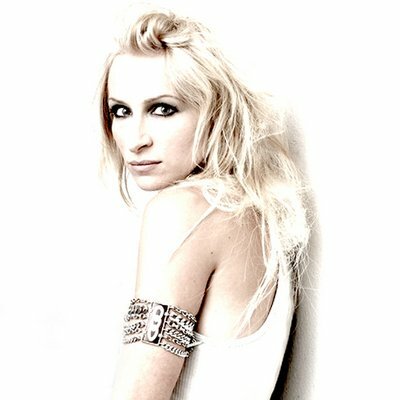 Guano Apes were formed in 1994 in Göttingen, Germany, by guitarist Henning Rümenapp, bassist Stefan Ude and drummer Dennis Poschwatta. Female lead singer Sandra Nasić joined the band later in the same year. The release of their debut album was followed by an 18-month tour of Europe and the United States. “Open Your Eyes” appeared in the Warren Miller movie, Fifty (1999) and Crusty 2000: The Metal Millennium (2000). The non-album single “Don’t You Turn Your Back On Me” was contributed to the Meschugge film soundtrack in 1999.The band’s career took off in 1996 after they won the “Local Heroes” competition held by VIVA, beating out over 1000 competitors with their song “Open Your Eyes” The song was also their first and most successful single, followed by the release in October 1997 of their debut album Proud Like a God on BMG and GUN/Supersonic Records. The album peaked at number 4 in Germany and it was certified platinum. The songs “Lords of the Boards” and “Rain” were also issued as singles. “Lords of the Boards” was commissioned for the 1998 European Snowboarding Championship. Here´s “Lords of the Boards”. Now I want to talk about one of the biggest influencers of most of all vocal performers. 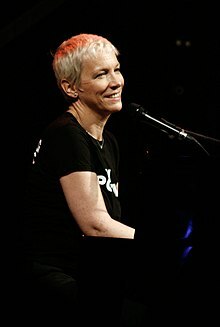 Ann “Annie” Lennox, OBE (born 25 December 1954) is a Scottish singer, songwriter, political activist and philanthropist. After achieving moderate success in the late 1970s as part of the new wave band The Tourists, she and fellow musician David A. Stewart went on to achieve major international success in the 1980s as Eurythmics. With a total of eight Brit Awards, which includes being named Best British Female Artist a record six times, Lennox has been named the “Brits Champion of Champions”. Lennox embarked on a solo career in 1992 with her debut album, Diva, which produced several hit singles including “Why” and “Walking on Broken Glass“. To date, she has released six solo studio albums and a compilation album, The Annie Lennox Collection (2009). Aside from her eight Brit Awards, she has also collected four Grammy Awardsand an MTV Video Music Award. In 2002, Lennox received a Billboard Century Award; the highest accolade from Billboard Magazine. In 2004, she won both the Golden Globe and the Academy Award for Best Original Song for “Into the West“, written for the soundtrack to the feature film The Lord of the Rings: The Return of the King. In addition to her career as a musician, Lennox is also a political and social activist, notable for raising money and awareness for HIV/ AIDS as it affects women and children in Africa. In 2011, Lennox was appointed an Officer of the Order of the British Empire by Queen Elizabeth II for her “tireless charity campaigns and championing of humanitarian causes”. On 4 June 2012 she performed at the Queen’s Diamond Jubilee Concert in front of Buckingham Palace. Lennox performed the song “Little Bird” during the 2012 Summer Olympics closing ceremony in London on 12 August 2012. Lennox has been named “The Greatest White Soul Singer Alive” by VH1 and one of The 100 Greatest Singers of All Time by Rolling Stone. In 2012, she was rated No. 22 on VH1’s 100 Greatest Women in Music. She has earned the distinction of “most successful female British artist in UK music history” due to her commercial success since the early 1980s. As of June 2008, including her work within Eurythmics, Lennox had sold over 80 million records worldwide. At the 2015 Ivor Novello Awards, Lennox was made a fellow of the British Academy of Songwriters, Composers and Authors, the first female to receive the honour. [ In 2017, Lennox was appointed Glasgow Caledonian University‘s first female chancellor, taking over the role from Nobel Peace Prize laureate Muhammad Yunus. Joe Cocker did it, Percy Sledge did it, Dave Matthews did it, Bonnie Tyler did it, The Hollies did it, and many others did it. And also Annie Lennox did it. But for me her performance of the most covered song in the history of music written by cult band Procul Harum is the best..
And here´s one of my all time favorite videos. And here you´ll see how Annie Lennox saves the world. At the end of my story of today I want to come to an absolute exceptional artist. Magda Davitt (born Sinéad Marie Bernadette O’Connor /ʃɪˈneɪd/, 8 December 1966) is an Irish singer-songwriter who rose to fame in the late 1980s with her debut album The Lion and the Cobra. As Sinéad O’Connor, she achieved worldwide success in 1990 with a new arrangement of Prince‘s song “Nothing Compares 2 U“. Since then, while maintaining her singing career, she has occasionally encountered controversy, partly due to her statements and gestures—such as her ordination as a priest despite being a woman with a Roman Catholic background—and her strongly expressed views on organised religion, women’s rights, war, and child abuse. In addition to her ten solo albums, her work includes many singles, songs for films, collaborations with many other artists, and appearances at charity fundraising concerts. In 2017, O’Connor said that she had changed her legal name to Magda Davitt. Sinead O´Connor performing with the legendary cult band U2. I whish you a relaxed Sunday and come back tomorrow with the 3d and last part of this special. For today I want to say goodby with anothr of my all time favorite songs, please note the fantastic string arrangement in the middle of the song. Here´s the fantastic Mel C.